How to learn languages easily – use your Learning Superpowers! Do you like more learning on your own or with others? Are you one of those learners who loves making color coded vocabulary lists? Do you actually know HOW you learn best a language? By knowing how you learn, you’ll be able to use your strengths to acquire and retain language effectively, without wasting your time and energy. 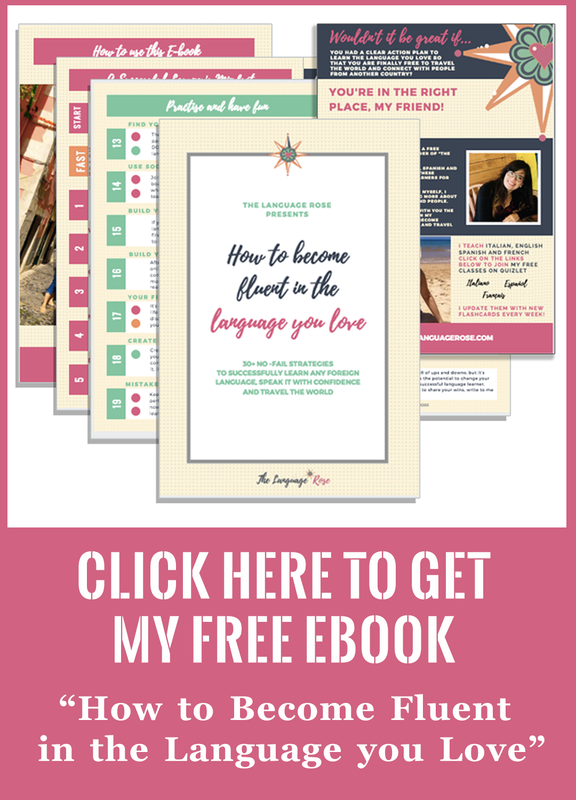 In this article I’m going to show you step by step how to find out how you learn best and get highly actionable strategies that will make your language learning easier, more effective and much more fun too! Grab your journal or open up a fresh document on your computer. You’re about to discover your Learning Superpowers and how to use them to be a successful language learner. Your Learning Superpowers stems from your best, strongest, “intelligences”. It may sound strange to you, but we all have more than one intelligence. According to Howard Gardner, developmental psychologist and Harvard professor, there are eight kind of different intelligences. We all have them and in every individual some are strongest than others. Visual-Spatial – if you have a strong visual-spatial intelligence,you think in terms of physical space. You like drawing, doing jigsaw puzzles, reading maps, daydreaming. Bodily-kinesthetic – if this is your favourite intelligence, you use your body effectively. You communicate well through body language, you like movement, making things. You’re a very practical individual. Musical – you are very sensitive to rhythm and sound. You love music, and you are also sensitive to sounds in your environment. Interpersonal – you are very good at interacting with others. You have many friends,and you love group activities, having conversations or doing anything that allow you to connect and interact with other people. Intrapersonal – you are very aware of your inner feelings and emotions and you have a well-developed intuition. You prefer working independently and enjoy spending time alone. Linguistic – you use words effectively. You love using new words and learning new way of expressing yourself through language. You like reading, playing word games, creating poetry. Logical – Mathematical – you are very good at reasoning and using logic.You can easily see and explore patterns and relationships between things. You like experimenting, solving puzzles, logic games. Naturalist – you love nature and can make consequential distinctions in the world of nature as, for example, between one plant and another, or one cloud formation and another. To turn on your Learning Superpowers, you need to leverage the power of your strongest intelligences when learning a new language. Here is what I mean: let’s say you have a very strong musical intelligence and you want to memorise 10 new words in Italian: creating a song or rhymes with these words is a good way to use your strongest intelligence. 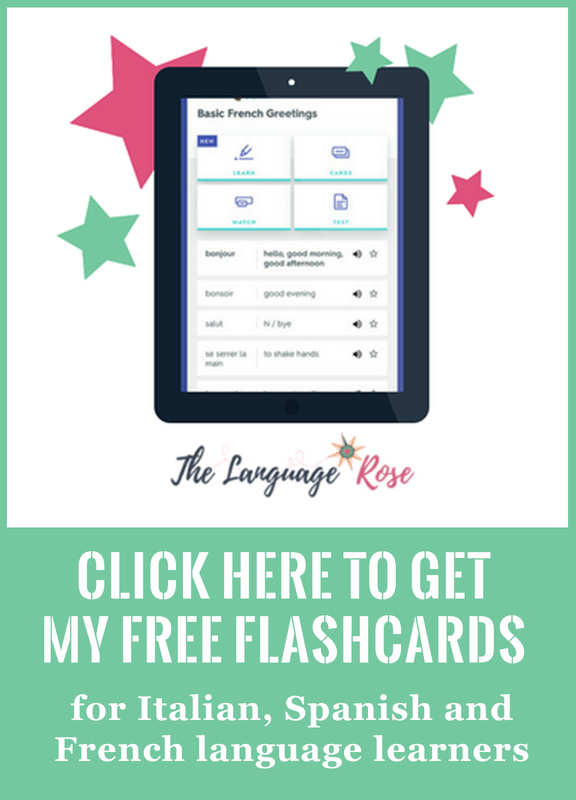 Another example: you have a strong visual intelligence; you can find very helpful to use flashcards with nice pictures to remember the 10 words you want to learn. How can you find your strongest intelligence then? Here’s a test to find out which ones are your top three strongest intelligences. Take the test and note down your intelligences and scores in the learning sheet I have create just for you. You can find it right here. Then, come back to this page to turn your insight into action in STEP 2. 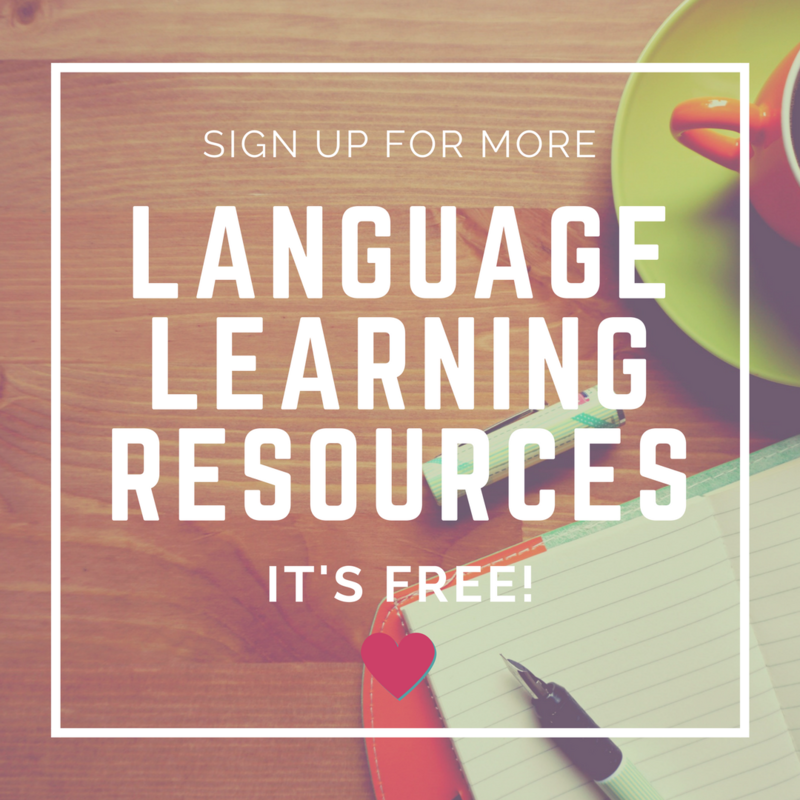 Step 2: Find Language Learning Strategies that work for you! Do you remember when Clark Kent in Smallville finds out his heat vision? At the beginning he burns out all sort of stuff but then he learns how to control this superpower and uses it purposefuly and strategically to carry out a variety of tasks (including heating up hot chocolate with it!). Now it’s your time to use your own strongest intelligences strategically and purposefully to learn your foreign language. Here is my example: as one of my strongest intelligences is musical, I find it helpful to make songs and rhymes with new words I want to learn. I am also an introverted (believe it or not!) and I experience better learning when I am on my own as I also love reflecting on my own learning process. Below are some learning strategies associated to each intelligence. Mix and match them or add new ones that are a good fit for your strongest intelligences. Write them down in the learning sheet provided, just like I did. Linguistic strategies – play with words through making up stories and poems, solve crosswords, engage with exercises that encourage to understand verbs derivation or ethimology, give a presentation on some language topic, do and study translations, read books, blogs, articles and annotate texts. Logical -Mathematical strategies – study words ethimology and grammar rules, create tables or charts to sum up grammar rules, do grammar exercises that encourage you to apply the grammar rules you’ve learnt, take notice of the language patterns you come across. Naturalist strategies – study in natural surroundings, sort and classify words, investigate language patterns and word derivation. Which strategies are you going to use? Can you think of other learning strategies connected to your most powerful intelligences? Write them down in the learning sheet too and start to use them next time you are learning your language. It’s not over yet, though. Now we’re going to find out out your Learning Superpowers! Step 3: Use your Learning Superpowers! Imagine: what would happen if you could use all your best intelligences synergistically? It’d create definitely an outstanding learning experience. As also Gardner points out, all intelligences are interconnected so it’s good to address more than one intelligence at time when learning. This is what is called holistic learning. Write down the strategies that leverage two or three (or even four) of your strongest intelligences in the middle cloud (the one that is labeled “Learning Superpowers) in your learning sheet, those are your LEARNING SUPERPOWERS. These strategies give you maximum engagement and information retention. For example, if you have strong visual and linguistic intelligence, watching films in a foreign language with subtitles is a strategy that would combine both of these intelligences. If you have a strong musical, naturalist and intrapersonal intelligence, you’d benefit greatly from a language learning session at the park with your friends where you use the language you want to learn to create songs, rhymes or poems. The bottom line is : do not limit yourself to use one strong intelligence, use them all synergistically to turn on your Learning Supwepowers. Have fun experimenting. I can’t wait to read about your Super Learning experience in the comment below. Keep me posted and enjoy your *super* learning! I just think no one could be bothered to change the education system to incorporate it into mainstream…. It makes so much sense to me!